Delivering reliable, high-quality water requires a delicate balance between water supplies and customer demands. While water managers continually strive to maintain this supply-and-demand balance through long-term water resource planning and demand management, new challenges exist due to the impacts of climate change, putting the world's water resources at risk. The Water Utility Climate Alliance (WUCA) is dedicated to enhancing climate change research and improving water management decision-making to ensure that water utilities will be positioned to respond to climate change and protect our water supplies. WUCA member agencies, including the Southern Nevada Water Authority and Denver Water, recently collaborated with insurance and climate change experts to develop a three-part climate risk learning module. The 2018 WUCA Annual Report was presented at the recent General Manager retreat. 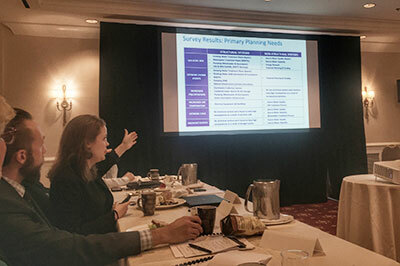 The report documents WUCA's 2018 Work Plan progress and provides a list of next steps. 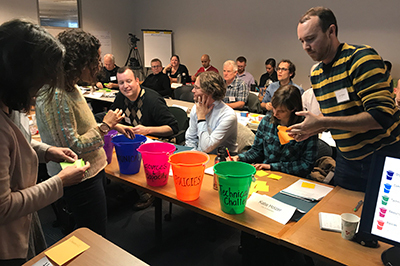 WUCA co-hosted a free two-day technical training for drinking water, wastewater and stormwater utility managers and consultants, Dec. 4-5 in Portland, Ore.
Warming is here and now. Climate adaptation planning is not just about the future. Water utilities are experiencing the effects of a changing climate on their water resources today. Know your system and explore its vulnerabilities. Assess your water system to identify vulnerabilities. Risks can only be reduced if they are identified. Plan for multiple futures. Predicting the future is not feasible but anticipating plausible warmer future climates is. Prepare to face a variety of scenarios. Capacity building and assessment are part of the adaptation equation. Developing the technical and managerial expertise to identify and assess climate risks to a system is as much a part of adaptation as the steps taken to implement risk reduction measures.